The Liebster award is a way to have fun on blogger by sharing interesting facts about yourself and interacting with your audience BUT it is also a great networking tool. If used properly it has great potential to help expand your social network/following. You can achieve this through nominations. These nominations are a tool to help you connect with new people. You can rack up as many Liebster awards as you want! I've read someone has gotten the award 10+ times. The more you participate in it the more bloggers you will meet. 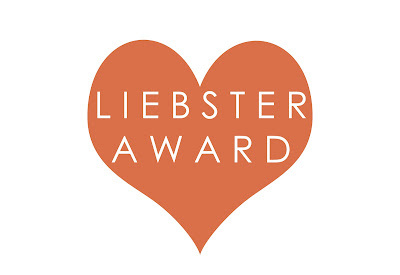 Join the Liebster community to get nominated and participate! We will host many networking events/contests to ensure that our members are exposed to many genres of blogs and have ample opportunity to expand their circles! The Liebster community is for people interested in networking. There is a challenge posted on the Liebster community. Check it out, join in, and have fun! 1. What was your inspiration behind choosing the name for your blog? 2. Why did you decide to get into blogging? 3. What is one lesson you've learned in life that you would like to share with your followers? 5. What is your favorite thing to do with your time? 7. How would you describe your friends? 8. What are your top three aspirations in life? 9. If you could have a ticket to any place in the world where would it be and why? 10. Do you have a Facebook/twitter/some other social network for your blog? 11. Are you going to nominate 11 more people?! ?